Online classes are both convenient and affordable. Learning new quilting skills on demand is a much more efficient use of our time. Local sewing and quilt stores can not teach it all. And many times their class schedule does not work into your busy schedule. Whether you live miles from your closest quilt store, have grandkids to look after or have a hectic work schedule, online courses are the answer. If you are a beginner quilter, know just enough to get yourself in trouble, or have been quilting for years, we encourage you to take an online course this year and start adding to your quilting knowledge bank. Have 20 minutes at lunch? Learn a new machine quilting technique. Waiting for kids in the car pool lane? Explore new rotary cutting skills to make cutting out quilts more accurate. Sick of late night television shows? Drift off to sleep while exploring color theory with a favorite instructor with a soothing voice. If you have heard of Craftsy, whether you have taken online courses or not, you are going to LOVE bluprint! Craftsy is now bluprint. With 1,000’s of online courses in an even greater list of 20+ subject categories, learning on the go is fun and easy. Shown: bluprint Quilt Box – everything you need to make your first quilt! 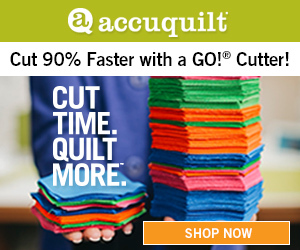 Beginner quilters can start by ordering a Quilting bluprint box, order quilt kits or start with a beginner quilt class. 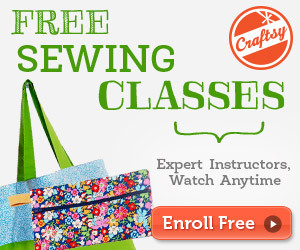 Learn from well known quilt instructors in the comfort of your own home 24/7. Take your first quilt class today! Click here for a list of our favorite quilt classes. Need quilt fabric? Bluprint also has an amazing selection of quality quilt fabric and quilt kits. Check out the latest fabric arrivals here. Looking for free quilt patterns? Bluprint has 100’s of free quilt patterns ready to download. Classes can be purchased individually, or do what I did, and sign up for the UNLIMITED bluprint class subscription option. The bluprint subscription option allows students to pop in and out of any class at any time. Need to whip up something new for dinner? Check out all the bluprint cooking classes. Want to take some awesome pictures on your next vacation? Brush up on photography tips from the experts. Grand baby turning 3 years old next month? Try your hand at making an extra special birthday cake. Many of my favorite QUILTING Craftsy/bluprint online classes are all grouped together on one page. These are my go to classes when students are looking for a place to start. My T-Shirt Quilts: From Start to Finish bluprint class and my Serger Solutions Troubleshooting Techniques bluprint class are also still available to watch 24/7. We hope you will try out something new this year. With this type of quality education from bluprint just a touch of a button away, why would one even need to leave the house?